Life is what happens to you while you're busy making other plans - John Lennon, and others before him. One day, we will move to a town house on False Bay. This garden has been about the roses. Ungardening Pond. 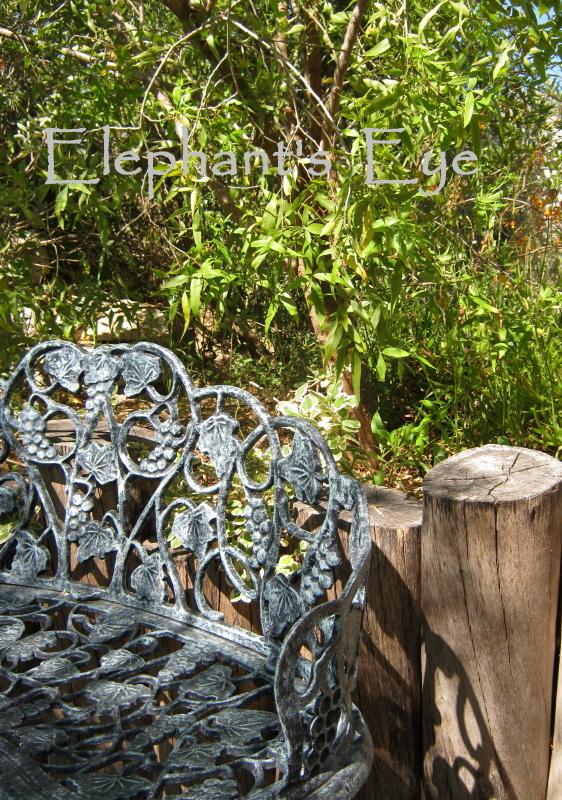 The view to Elephant’s Eye. The two huge ash trees. The weaver birds in the giant/Spanish reeds. We will not have a sea view. This picture was taken thru the rain-splattered windscreen of the moving car. Milky sea glass green. Pearl and anthracite beach sand. The darkness of washed up kelp. Blues across sea, sky and distant mountain. Flashes of colour – burgundy red seaweed, yellow daisy bushes, electric pink vygies on the sand dunes. We will plant trees to shield us from the neighbours, but still catch a glimpse of the hills. 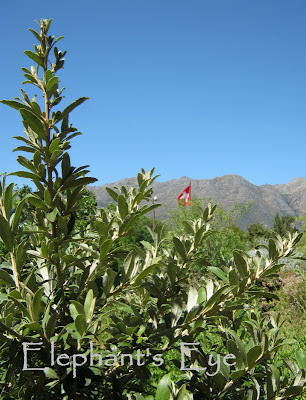 Choosing the smaller indigenous trees or Brachylaena, whose leaves flash the silver below when whipped by the southeaster. The livingroom will open to a patio, flowing to a back garden of trees and small pond with a secluded Rest and Be Thankful beneath a bergkaree bower. The dwarf papyrus will live in pots, and put on town manners. Ludwig’s says the answer is to use large pots for roses, then sink them into the ground so just the lip shows. I’d like to take cuttings of my Old Cape rose Black Prince. 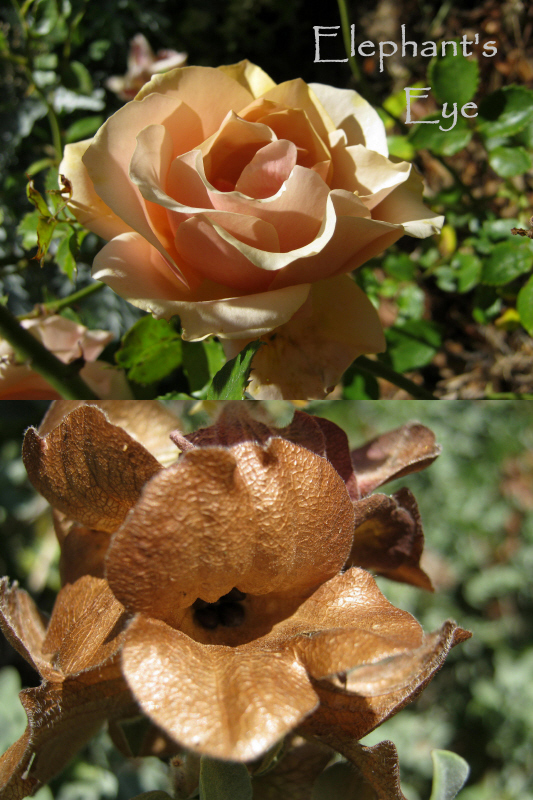 First I saw Belle Époque with terracotta buds opening to a burnished bronze. Then I turned to the fading calyx on the strandsalie echoing the same bronze, with added metallic shimmer! Instead of overshadowing the quieter charm of our indigenous plants with the commonorgarden colour of rose blooms, I will enjoy the textures and subtleties on the road less travelled. The feathers on Artemisia, the teeth on Melianthus, the blue haze as the Plectranthus has claimed the garden, and yes, loud brash colour from daisies and pelargoniums. The garden ideas get honed and refined. I hope to enclose the front garden – with a face brick wall (not a fan of white paint), with arrow slits. I like to play with formal garden ideas and our not expected NOT exotic plants. Outside I’ll plant spekboom Portulacaria afra. Reducing our carbon footprint. Any prunings will grow. 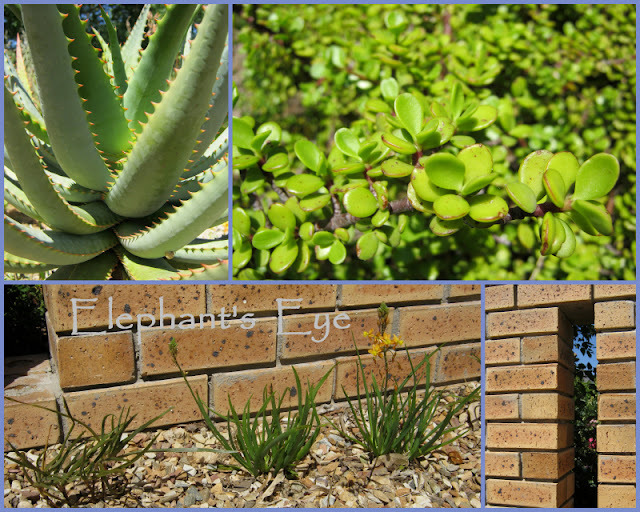 In front the contrasting texture of spiny aloes. At their feet a row of Bulbinella. That gives me texture, leaf colour, continual tangerine flowers for the bees, seasonal winter interest with nectar for the sunbirds from the aloes. An English hedgerow reinterpreted. I can’t hardly wait! There will be a paved enclosed courtyard where I will grow a Japanese maple, orchids from my mother, Streptocarpus. My stash of inspiration includes Franschhoek with Monty Don and Mont Pellier, Elgin's Open Gardens and Victoria’s new garden Awkward Hill in Bibury. PS Stacy's comment reminds me that her Microcosm in New Mexico is a space in which each plant is cherished, and when the neighbours get too noisy we will escape to Cape Point Nature Reserve or Silvermine. Beautiful pictures! You have lovely cats. I hope you'll enjoy your staying in your town house. Do you move because of the season? Have a good weekend! These are one day plans, sometime in the future. The weather will be less hot in summer, because Porterville just gets the fringes of Cape Town's howling Southeasters. Here we have fertile clay soil for the roses, there it will be sandy and fynbos. Will you be building your dream, or buying ready made? Whichever, happy dreaming and planning. O, you really want to move? Take than that beautiful rose Belle Epoque to your new place in a big tub, when the soil is too sandy. I adore your cats, they look like cats, lazy by daytime, active at night. I'm fond of animals, love them even more than plants. The roses belong to this garden, this is their home. But the Black Prince is a heritage rose, I don't think I COULD buy it anywhere. 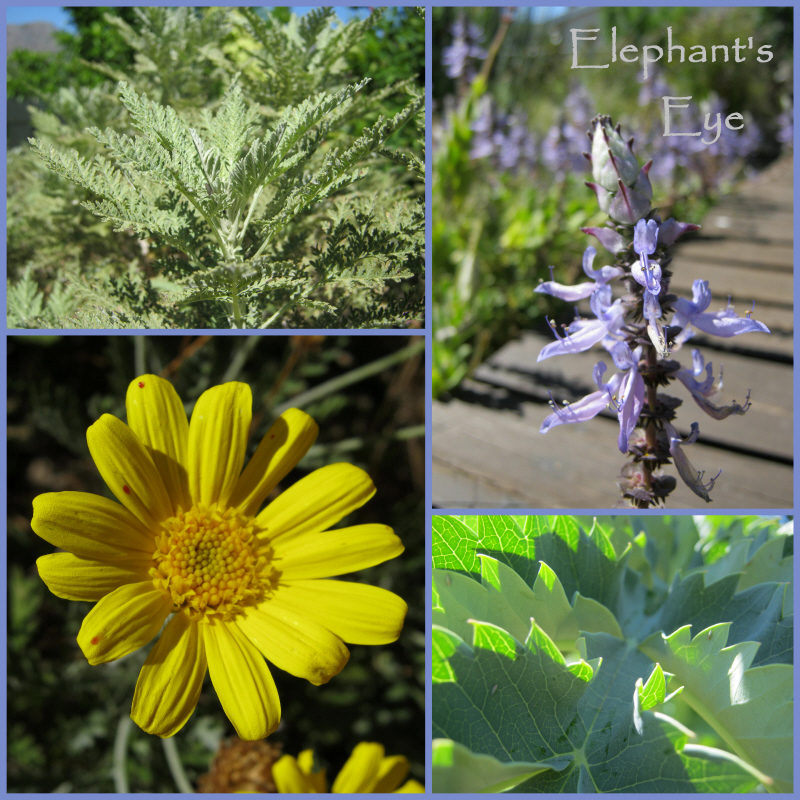 super photos, you have some wonderful plants and flowers in your garden. How much harder it will be for you to leave a garden with generations of family history and memories embedded in it! It looks like and sounds like a beautiful place, Diana. You certainly have your work cut out for you...bringing your favorites with you. I will miss seeing your reports from this region, but I look forward to reading about your experiences in this new place. It's lovely that you are planning a new garden while still loving your current one, and not seeming to regret the (still-to-come) change: this is now, in this time and this place; and then it will be a new garden and a new time and place. Letting go, in advance, while still reveling in Paradise and Roses. Your description of the sea is wonderful. So you'll give up this garden for another. I'm practicing for that, though it could be ten or twenty years in the future. Who knows? Who knows, indeed? I can't imagine your garden in someone else's care, it is quite unique to you! Sounds really great Diana, love the image of False Bay, it looks beautiful. Best Wishes Karen. To start with a more-or-less clean slate sounds perfect. It is not a new build but there is room to express yourself without feeling completely overwhelmed. Hi Diana! The whole new life is ahead! You are planning, dreaming... good for you! Sometimes, I think how it will be for me to leave my garden. My Melianthus is doing so well here in the humid Pacific Northwest. I hope it'll survive the winter. It did last year! 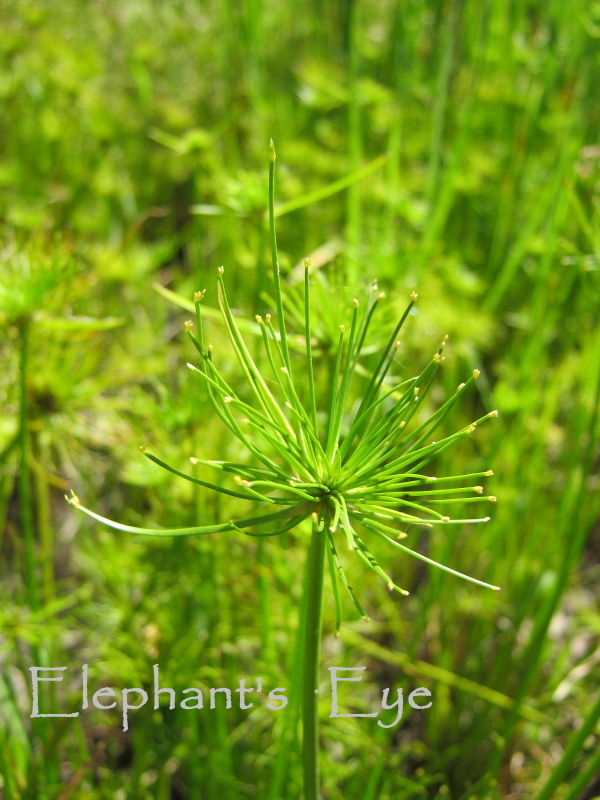 PlantZAfrica says - The plants can survive in cold areas with frost, sending new shoots from the base in spring. Which has encouraged me to cut back old woody growth to the base, much like pruning roses. Altho my plant grows with the winter rain. Hi ! I wanted to comment on your blog about the tree's but comments could not be given on that blog, did you know that ? Oh I had plans for retirement until I found that my retirement would be taxed so I am staying and traveling when I do retire. Maybe I will make money somehow so we can have a nice little place to go when winter strikes here...we shall see. It is good to plan and then let life take over...it always work out as it should...it sounds lovely Diana! So sweet that Aragon waits politely for her breakfast. I'm greeted by three cats in the morning, one inside and two sitting on the outside windowsill, who complain LOUDLY about every second they must wait. that is because there IS no time scale yet! Still at the planning and exploring possibilities stage. And yes, it hasn't been long. 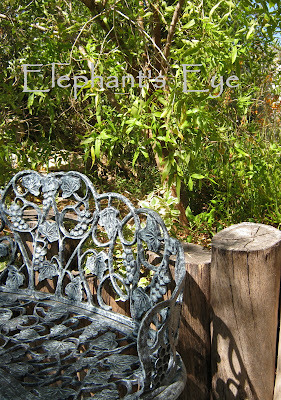 A new garden is always exciting to think about, but leaving behind a garden you have created and loved would be hard. I often wonder what will happen to me and my garden in the future when it's too much for me to handle. I love the color of Belle Époque. I have never seen such an elegant color in a rose. came from Ludwig's Roses. It is FRYyaboo, perhaps you can get a locally named plant? 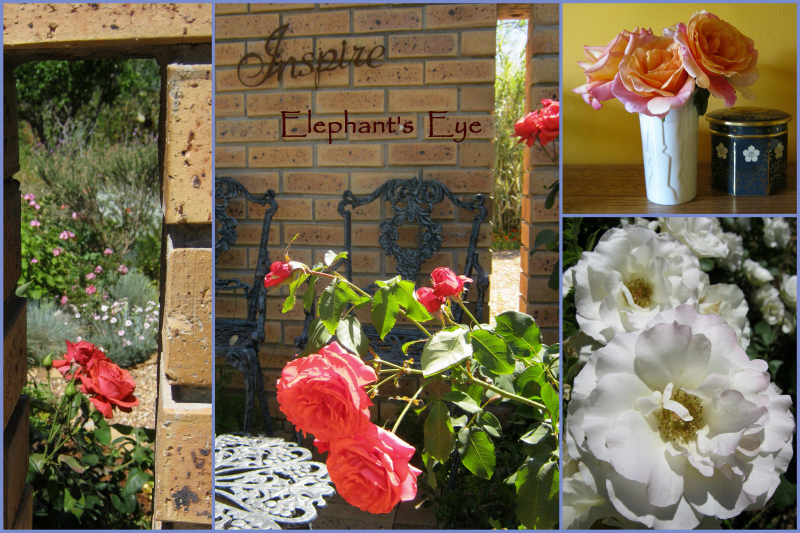 Moving and creating a new garden is an exciting thought. Do you worry if the new owners will care for your existing garden? The plants must take their chance, but I fervently hope that the future owners will continue to care for the birds and the wildlife around the pond, the striped mice and the tabakrolletjie snakes. Holy smoke, I don't even know what I want to do at my house and you have your whole future garden laid out already. Wow, you are moving! A new beginning, a new garden, it all sounds so very exciting. Change keeps one young! I have occasionally fantasized of moving to a smaller place with a courtyard garden. Good luck with all your plans. I am looking forward to seeing how it all unfolds. 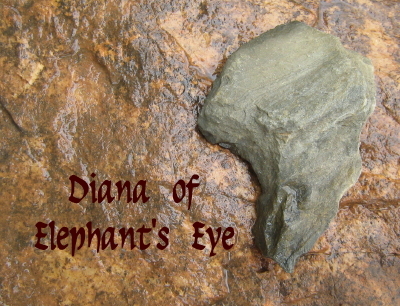 Diana, sounds like you will do the change well and by the look of your gardening talent and soul, your new place will be as gorgeous as your former ... you will "take the weather with you'', as another popular saying ( and song by Crowded House) goes. Good luck. False Bay, in spite of its unfortunate name, looks divine, and similar to my favourite place that is called Apollo Bay. I do think about moving, but can't imagine it in detail like you have. I think maybe in the next place I won't have a garden at all, or it will be so wild it won't seem like a garden. Thanks Diana, for challenging stimulating post. the advantage of a move is being able to decide what you really want, especially if the size is less. Any regrets, scaling down? It doesn't sound like it! It all sounds thrilling. Will Aragon and Chocolat cope? Or will they be purring? Aragon will remain content to be with us, and Chocolat will be royally pissed off, until he settles again. As he did when we moved him here. We have enjoyed our first stroll along the boardwalk. It was one of those flawless Cape days. No wind no rain, blue skies and sunshine!